Craig Veysey, lead manager of the Man GLG Strategic Bond fund has warned that quantitative tightening could trigger a significant wave of credit downgrades, tipping many BBB bonds into HY territory. This is a widespread threat to investors, because of the sharp rise in the number of BBB-rated bonds put into the market since 2008 by companies gearing up balance sheets to buy back stock and finance other activities that are deemed more 'equity friendly', Veysey suggests. Volatility caused by tightening could leave debt issued by cyclical companies particularly at risk, he adds. "The suppression of volatility we've seen in recent years due to quantitative easing is reversing direction with quantitative tapering likely to amplify volatility. At the same time the economic cycle is not as constructive as it was, with leading indicators weakening in many parts of the world. We are very, very cautious of those cyclical BBB- issuers that lack the flexibility to reduce the size of their balance sheet or increase their cash flow - we think a large number of these could quickly find themselves in the high yield index." Investors should instead look to companies that are deleveraging, improving their credit quality and avoiding activities deemed 'shareholder friendly'. "We have recently been buying bonds in Tesco, which has overseen a huge turnaround in the business. Tesco is now only one rating agency upgrade away from moving from sub-investment grade to investment grade and we think that's likely to happen in the next few months. 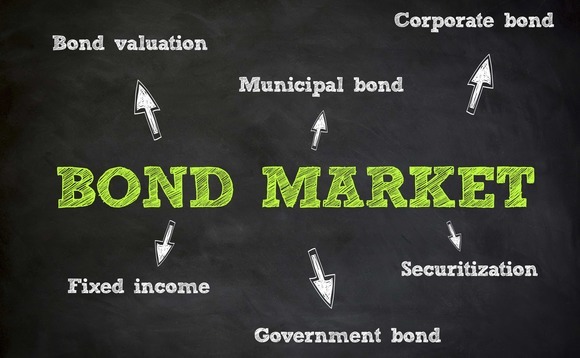 It is tendering for its bonds on a regular basis and it does so at a price significantly higher than the market price. Plus, investors will become forced buyers of the debt when Tesco is moved up to investment grade." "We bought [Macy's] last summer when the Amazon story was impacting major US retailers quite significantly. But what was missed is that Macy's has stores in prime locations in all the major US shopping malls, and management that has actively engaged with shoppers and improved its offering. It is also looking to deleverage and is embarking on tender offers at attractive levels for debt investors. We will look to build up our position as we expect issues to be tendered for again over the next 12-18 months." Man GLG has some $38.4bn of funds under management.